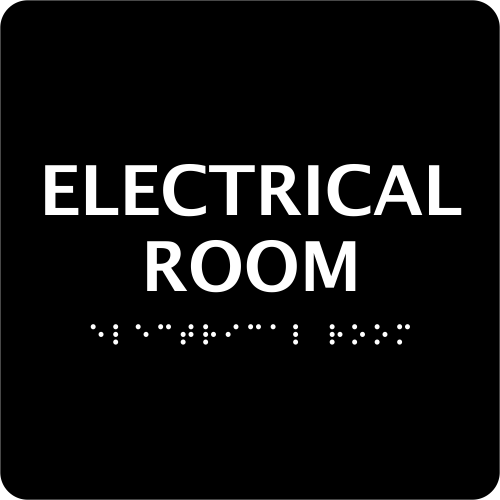 Clearly mark your electrical room with this braille sign. Square sign features raised lettering and braille. Available in several colors and sizes. Standard square "Electrical Room" identification sign features ADA compliant braille. Sizes start at 6" x 6". Choose a background color for your sign and a foreground color for letters and graphics.